With contributions by Kurt R. Eissler, Rudolf Ekstein, Jutta Gutwinski, H.-K. Knoepfel, Marianne Krüll, Peter Kutter, Hans W. Loewald, Josef Sajner, Hans-Joachim Seemann, Veikko Tähkä and Léon Wurmser. Shame appears in three forms — as anxiety about an imminent (or still deepening) event of being treated with contempt, as a Compound feeling responding to such an event that has already occurred and needs to be expiated, and as character attitude that serves as reaction formation to prevent such events. The basic danger lies in being exposed as weak and rejected with contempt. Whereas guilt protects the object against aggressions, shame protects the subject against the revelation of weakness. Both affects are largely internalized though they retain their bipolar quality (of condemning versus condemned part) within the self. One is, however, not only ashamed for attributes, like weakness, dirtiness and being mutilated, but for certain drive activities, invested in perception and expression. Since »voyeurism« and »exhibitionism« represent only genitally oriented late versions that neither reflect their archaic and global qualities present and even central in severe psychopathology nor their libidinous as well as aggressive nature, two new terms are suggested: »theatophilia« and »delophilia«. Shame serves as specific reaction formation against both partial drives. The more consistently one observes the technique of defense analysis, the more carefully one engages in the analysis of the superego and the more sharply one distinguishes shame conflicts from guilt conflicts, shame affects in their boad spectrum from guilt feelings. Thorough »shame analysis« is therefore only a special form of consistent defense analysis. Not only is the Oedipus complex a constituent of normal psychic life of the adult and, as such, again and again active. A psychotic core, related to the earliest vicissitudes of the ambivalent search for primary narcissistic unity and individuation, is also an active constituent of normal psychic life. Its activity, through a variety of investigations into archaic mental life, has become more apparent and — partly in their wake — more prominent in the pathology of patients and in modern life in general. These deeper unconscious currents, having been uncovered and reentering modern sensibility, influence the organization of mind, experience, and action. Our hitherto normal form of organizing reality, aiming at a strict distinction and separation between an internal, subjective, and an external, objective world, is in question. Our psychotic core, as it comes increasingly into view, prevents us from being as much at home and at ease with this solution as our scientific forefathers were. I believe that our quest for individuation and individuality, and for an objective world view, is being modulated by insights we are gaining from the »psychic reality« of preoedipal life stages. We even need to re-examine Freud’s distinction between psychic reality and factual, objective reality. Not that this distinction might be invalid. But its validity appears to be more circumscribed and limited than we assumed, analogous to Newtonian physics: the new theories and discoveries of modern physics do not invalidate Newtonian physics, but they limit its applicability. Interest in the Oedipus complex has been on the wane because of these developments. But it is also true that perspectives on the Oedipus complex are changing, that the different modes of its waning and waxing during life stages give it renewed significance and weight, and that the intermediate nature of incestuous relations, intermediate between identification and object cathexis, throws additional light on its centrality. I have pointed out that the superego as the heir of the Oedipus complex is the structure resulting from parricide, representing both guilt and atonement for the usurpation of authority. We are reminded that the oedipal attachments, struggles, and conflicts must also be understood as new versions of the basic union-individuation dilemma. The superego, as the culmination of individual psychic structure formation, represents something ultimate in the basic separation-individuation process. This paper is concerned with the clarification of the concept of interpretation, Freud himself did not use the expression »interpretation«, rather he always spoke about »Deutung«. As we examine the different meanings of the concepts »interpretation« respectively »Deutung« as they are derived from Freud’s Interpretation of Dreams one discovers a subtle parallel between the works of the philosopher Ludwig Wittgenstein and those of Sigmund Freud, contemporaries, who completed their decisive contributions around the turn of the century. Wittgenstein asserted, that even if all possible scientific questions would be answered, our problems of life would not yet be touched. He was in favour, that philosophy, linguistic philosophy, should not try to answer questions. That would be the task of the exact sciences. Clarification of philosophical problems does not lead to an answer, but rather to a clarification, the »vanishing of the problem«. Freud characterized the work of psychoanalysis as a procedure, whereby the making conscious of the unconscious, the forgotten memories, would lead to a vanishing of the problems. He compares the analytical process with the one of archeology: »...by pointing to the antiques standing about in my room. They were in fact, objects found in a tomb, and their burial had been their preservation: the destruction of Pompeii was only beginning now that it had been dug up«. In this essay I make the following suggestion: philosophical clarification will bring about the vanishing of the problem and thus solves the puzzle; psychoanalytic reflection — a special Variation of reflection — will make available to consciousness the unconscious conflict and thus will give meaning to the famous word of Freud: »Where id was, there shall ego be«. Freud once proposed that psychoanalysis can be compared with the royal play of chess. He refers now to a special difference existing, that defines the rules of the psychoanalytical process. Participants in the analytical »game«, the analyst and the analysand, use a system of communication, that requires for each of them different rules. The patient is only to make use of free associatiion. The analyst will mostly interpret, »Deuten«. Thus the psychoanalytic dialogue is conducted by two people, of whom each uses different systems of communication, different rules of language, concerning what is being said and what cannot be said. And it is this unequal language game, that makes possible the development of the psychoanalytic process. The battle between free association and interpretation brings about change, the origin of the transference neurosis, its development, its special direction towards a restoration of health. Thus we may consider the process of interpretation as a language game, whereby the analyst must decipher, that is understand, the conscious and the unconscious language rules of the patient. Each, the philosopher as well as the psychaoanalyst tries to discover the meaning of language, its use as well as its misuse. But this analogy is not to tempt us to believe that the Solution of a philosophical problem and the vanishing of a symptom are identical. Thus the language of interpretation, of »Deutung« has the task to make possible change that is the purpose of the process of interpretation. The stress therefore ist not on the interpretation, the »Deutung«, but on the process of interpretation, on the search more than in the discovery, in the reflection, which serves activity and change, and thus is oriented on purpose, on usefulness and applicability. Assuming the definition of psychosomatic disorders to be of a preoedipal nature, the basic conflict is understood to be a fundamental range of problems occurring between self-, object- and body-representation, which is marked by an existential threat to the self, by archaic emotions and corresponding body participation. In this regard efforts at defending the ego can lead to psychosomatic symptoms in the same way as to a psychosomatic character. The basic conflict is the consequence of privation and deprivation in the early-mother-child-relationship. According to the nature of the internalized object relations various interactional patterns emerge, of which four are particularly stressed (refusal, devouring, despising and penetration). With regard to therapy, the difficulties of reviving the basic conflict in the form of a psychosomatic crisis are emphasized, independent of whether classical psychoanalysis, group-therapy or hospital psychotherapy is conducted. In this paper an attempt has been made to show that on the basis of current psychoanalytic knowledge of the early development of personality it is possible to construct a consistent and logical model of psychoanalytic psychotherapy. It thus amounts to an attempt to outline a general psychoanalytic theory of psychotherapy. In so far as psychotherapy is as an effort to re-activate the once disturbed developmental interactions in which the therapist’s task is analogous (but not identical!) 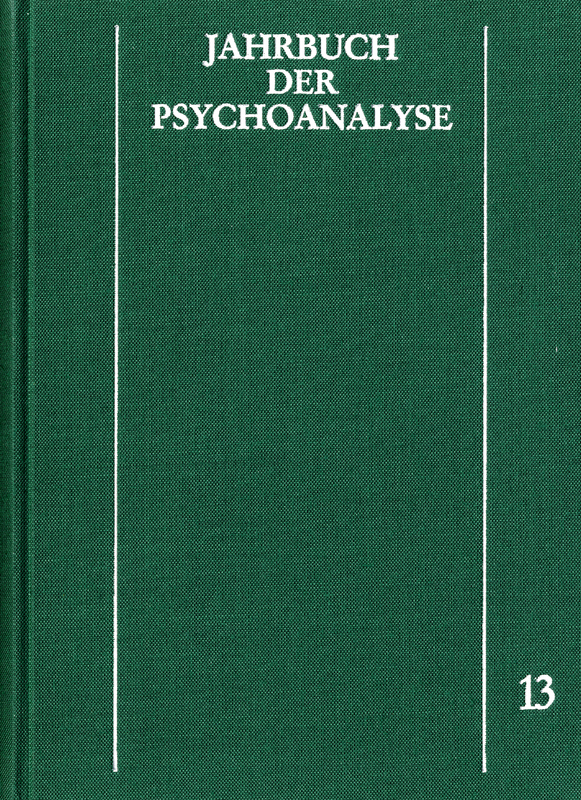 to that of the phase-specific primary objects it is possible, on the basis of psychoanalytic knowledge of personality development, to conceptualize the central tasks and curative factors on different levels of pathology as follows: If psychosis is considered a condition in which the differentation between self- and object-representation has been lost, the therapists phasespecific task is to become a good object in the patients inner world by adequately providing him with experiences of gratification. If borderline states are thought to be conditions in which the disturbance in the formation of ego structures is specific, the therapist’s function, analogous to that of the primary object, is to provide the patient with useful identification models for a belated ego building. If neurosis is regarded as the pathology of an already structured personality, in which repressed oedipal love and hate problems are specific, the therapist’s task is to help the patient to become conscious of them and resolve them by providing him with insights through interpretations and working through. The foregoing can also be expressed by stating that psychotherapy always strives to assist internalization in a way that is phasespecific to the patient’s developmental disturbance. In psychoses the goal is to create a good introject with a corresponding image of an acceptable self. In borderline states the aim is to reach a coherent ego structure by the help of selective identifications. In neuroses the end is final integration of internalizations into realistic sense of identity and age-appropriate objects. For the psychotic patient we have to become an object, for the borderline patient we have to act as an object and, finally, the neurotic patient we have to liberate from an object which has become superfluous. I have of course no intention of claiming schematically that psychoses should be treated exclusively by gratification, borderline states only by providing models for identification or neuroses by promoting insight. All those factors tend to be present in different proportions in most therapeutic processes, one or another dominating their successive stages. What ist phase-specifically curative at any giving moment depends entirely upon the specific nature of the interaction and upon the level of primary object the therapist represents to the patient. To catch this correctly depends on the therapist’s sensitivity and skill in making use of his complementary and empathic reactions. Sigmund Freud’s convalescences in Karlsbad from 1911—1914 are well known. It was, however, unknown, that Freud visited the spa as early as March 1887, when he spent some time in Teplitz (Bohemia) as a Consulting doctor. At that time Freud made a trip from Karlsbad to the nearby picturesque Hans Heiling Cliffs, a legendary beauty-spot situated on the River Eger. The cliffs seem to have made a great impression on Freud. The memory traces of this experience were recalled in his dreams and were the subject of lasting documentation in »The Interpretation of Dreams«. The earliest record of Sigmund Freud’s life is his registration of birth in Pribor. I have succeeded in finding a further printed document of when he was 13 months old. In the »Residents’ list of Roznau 1857« the entry is printed that on 5th June »Mrs. Amalia Freud, spouse of a wooldealer, together with her child Sigmund and the maid Resi Wittek from Freiberg, No. 180« had arrived. For researchers of Freud’s life two facts are of interest: the name Sigmund and the identity of the maid Resi Wittek. She may well be, alongside Monika Zajic or Magdalene Kabat, the mysterious »originator« or »seductress«. The only record of Sigmund Freud’s younger brother Julius is mentioned. According to the entry found in the »Matrik of the Non-Gentiles of Freiberg«.. »Julius, son of Jacob Freud, Merchant in Freiberg, having died at the age of 6 Months of inflammation of the intestine, was buried in the Jewish cemetary of Weißkirchen (Hranice), 15 kilometers west of Freiberg«. In a case study the reactions of a female patient to a televised performance of Shakespeare’s The Merchant of Venice are examined in detail (chapter II and III). A passing partial identification of Sonja the patient with a certain aspect of Portia, the main female character of the comedy, gives rise to theoretical considerations on the problem of a normal and »abnormal« identification of a spectator, of a reader etc. with a literary figure (chapter IV). For such an identification a so-called »common unconscious conflict« both of the spectator and the literary figure concerned is assumed (chapter V). After a theoretical inquiry into the links between identification and understanding respectively misunderstanding of the nature of the other mind (des Fremdseelischen) of a literary figure (chapter VI) the »common unconscious conflict« of the patient and Portia is elaborated and connected to a psychoanalytically orientated interpretation of Shakespeare’s Portia (chapter VII). The »manifest surface« of this character, i. e. the literary form and structure — like that of comedy in general — is shown to be analogous with the psychoanalytic concept of manic defence (chapter VIII). Finally interpretations gathered from her identification with a concealed aspect of significance of Portia are compared with those of Freud from 1913 and are used to complement Freud’s interpretation of The Theme of the Three Caskets. Quite a few patients of general practitioners do not fit into a scientific diagnostic system. The doctor feels obliged to resort to more and more tests and check-ups, and even hospitalisation is of little help. Either one agrees on a diagnosis using a minor symptom to emphasise upon, or one solves the predicament by attaching diagnoses such as nervousness, neurasthenia, functional disease, hypochondria or psychosomatic disease. Every family doctor is familiar with the great variety of such clinical pictures. In 1950 Michael and Enid Balint started Workshops with general practitioners for the study of psychological aspects of such patients. They called such diseases »unorganized illness«. The unorganized illness may become chronic, or patient and physician may agree that they deal with a well-defined disease. Plans of treatment are outlined — although with little faith in their effectiveness. — If, however, the doctor realizes that the unorganized illness is basically a disturbance in interpersonal relationship, most likely a basic fault — as Balint called it — he can then find new ways of dealing with this illness. But in order to do so he must learn to diagnose and understand the doctor-patient relationship and to make use of this broader knowledge along the lines that Michael Balint tought us. Specifics in the use of language in Balint-groups are shown in examples with questions. The investigation is based upon speech-act-theory. First of all, the difference is indicated between verbal acts in the surface structure of questions and questions as illocutionary acts in a narrow sense. The rules concerning the use of questions are fixed by convention but are not completely valid in texts of Balint-groups, because every therapeutic form based upon psychoanalysis has to take into consideration psychic defense. The analysis of defenses necessitates changing the inner structure of the function of illocutionary acts. A sequence of examples shows the difficulties that doctors have with the use of the ,why-questions', whose complex aspects are discussed. Other examples illustrate the special characteristics of questions posed by the group-leader. Some of his questions are modifications of pedagogical questions which also have other functions than questions in every-day language. Finally, the study presents one type of question which the doctors formulate and infer from the unconscious problem of the patient. The patient is often not capable of verbalizing his conflict, so that the doctors must puzzle out the implicit question which leads the patient to consult a doctor.